In this blog, I’m going to describe how we can share folders between CentOS servers using Network File System (NFS). 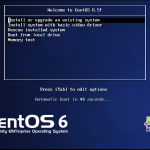 For this purpose, I’m setting up two CentOS 6.5 Minimal servers named as CentOS-1 and CentOS-2. 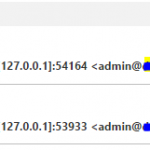 The IP addresses of CentOS-1 and CentOS-2 are 172.16.5.5 and 172.16.5.6 respectively. I’m going to create a folder in CentOS-1 machine and then share it with CentOS-2 machine. Before getting into folder sharing process, I suggest you to go through my previous blog articles on CentOS so that we are on same page here. Once I had prepared my both CentOS servers, I could get into the folder sharing procedure. First, I had to make sure if NFS utilities were available in my CentOS system or not. So, I ran a query statement with RPM to check the availability of nfs-utils. Running above command gave me an empty result, which meant nfs-utils wasn’t already installed in my CentOS machine. This was expected because I’ve been using a minimal server and minimal versions don’t come up with more than basic packages. So, I installed nfs-utils in both of my CentOS machines. After installing nfs-utils in both of my servers, I had to run it, in order to create NFS sharing. First I checked if it was already running or not. And if it wasn’t running already, I manually started it. I also ensured that it’ll run every time my servers restart by the use of chkconfig command. Now that I had my NFS server running, I needed to create or specify a folder which I wanted to share with other machines. So, I first created a folder called Test in /opt directory. Then I added an export entry for this folder in /etc/exports file. 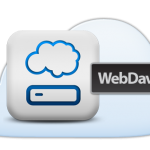 This is the configuration file which is referred by NFS for sharing. The above export entry tells the system to share /opt/Test folder with the host 172.16.5.6 and allow Read/Write privilege to it. If I wanted to share this folder to all hosts, I would’ve put * instead of 172.16.5.6. And if I were to share it with multiple specific IP addresses, I would’ve written my above entry like /opt/Test 172.16.5.6(rw) 192.168.1.5(ro). After I had defined my folder sharing entries in exports file, all I needed was to export the shared folder. I ran the following command to make sure my share was working properly. It displayed the shared folder and IP address of sharing host, which meant my sharing was working properly. In case the above command returns empty result or incomplete results, it means the folder isn’t being shared. In that case, we need to check our exports file and make sure nfs is installed and running. Now at the client/receiver side, I created a folder called Test and mounted the shared folder into it. You can name your folder whatever you wish. Note that it doesn’t have to be same as the folder shared in server side. After executing above mount command, I waited for some time to let it complete, but the mount didn’t go as I expected. It just hanged for some time and timed out. At this point, I’m sure you’ve caught my mistake here. Well, you got me! 🙂 I just forgot about my Iptables firewall at my CentOS-1 server, which wasn’t configured to allow NFS requests to it. 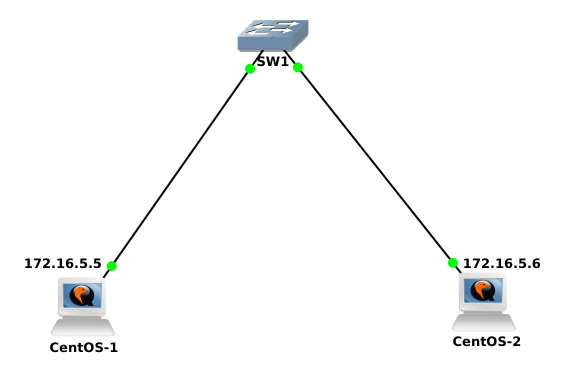 After defining ports for NFS, I restarted NFS process to implement the change. Then, I added firewall statements in iptables config file to allow above ports in NFS server. To do this, I opened up /etc/sysconfig/iptables file in vi and added following statements inside it above REJECT statements. Finally, I restarted the iptables service to apply new firewall rules. And as expected, it displayed the shared folder being mounted to the local folder in second server. Then, I wanted to keep this share mounted permanently, so I added my mount statement in fstab file. This is a quick guide on how to create NFS share between Linux servers. I hope you’ve found it informative and helpful. Please let me know in the comments section if you’ve any query or suggestion. Thank you for reading!